(Natural News) Certain probiotic strains may mitigate the onset of gluten intolerance in children, a new study revealed. To carry out the study, a team of researchers at the Lund University in Sweden examined 78 children who exhibited a genetic predisposition to celiac disease. Forty children were given a combination of the probiotic strains Lactobacillus plantarum Heal 9 and Lactobacillus paracasei 8700:2 daily, which was provided by Probi AB. The other 38 children were given a maltodextrin placebo. The study revealed that the probiotic strains were able to suppress celiac autoimmunity and may potentially delay the onset of the disease. The research team also found that tissue transglutaminase autoantibodies (tTGA), a marker of celiac disease, were significantly decreased in the treatment group. In contrast, children in the placebo group showed an increase in tTGA levels. The scientists concluded that the probiotic strains may inhibit celiac disease onset in children that were genetically predisposed to develop the disease. The findings indicate a potential preventive application of probiotics against the disease, the researchers added. 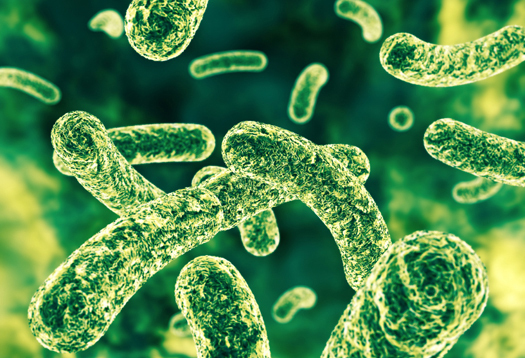 “To our knowledge this is the first time a probiotic study has been performed on this specific population and the results show immune-supporting properties of these probiotics as well as a potential preventive effect on the development of CD,” lead researcher Daniel Agardh said in a Nutra Ingredients U.S.A article. “This is an excellent example of [a] well working collaboration between academia and the industry. We see a growing interest in children’s probiotics and these results enable Probi to build a product platform for children,” Probi CEO Peter Nählstedt added. The findings were presented at the International Celiac Disease Symposium in New Delhi, India. The recent findings were only the latest in a slew of studies linking probiotics use and improved celiac disease markers. In fact, a study conducted by researchers at the University of Tampere Medical School in Finland showed that the live probiotic strains Lactobacillus fermentum and Bifidobacterium lactis were both able to mitigate the inflammatory response in sensitive intestinal cells. Both strains were also able to inhibit the development of membrane ruffles. “B. lactis inhibited the gliadin-induced increase dose-dependently in epithelial permeability, higher concentrations completely abolishing the gliadin-induced decrease in transepithelial resistance. We conclude thus that live B. lactis bacteria can counteract directly the harmful effects exerted by coeliac-toxic gliadin and would clearly warrant further studies of its potential as a novel dietary supplement in the treatment of coeliac disease,” the researchers wrote. Another study carried out by health experts at the Celiac Sprue Research Foundation in Palo Alto, California, revealed that pretreatment with a probiotic-produced enzyme called prolyl endopeptidase may improve disease markers in celiac disease patients. As part of the study, the research team examined 20 celiac patients who were given small doses of gluten with and without prolyl endopeptidase pretreatment. The results showed that pretreatment with the enzyme helped prevent the malabsorption of both carbohydrates and fats in a majority of patients. Nutrient malabsorption is a typical symptom of celiac sprue response, the research team said. As part of the study, the health experts examined 22 adults with celiac disease. One group was given a capsule containing the probiotic Bifidobacterium infantis, while another group was provided with a placebo pill. The results revealed that volunteers taking the probiotic supplements exhibited marked reductions in indigestion, constipation and other intestinal symptoms. These volunteers also showed significantly lower levels of gluten antibodies.